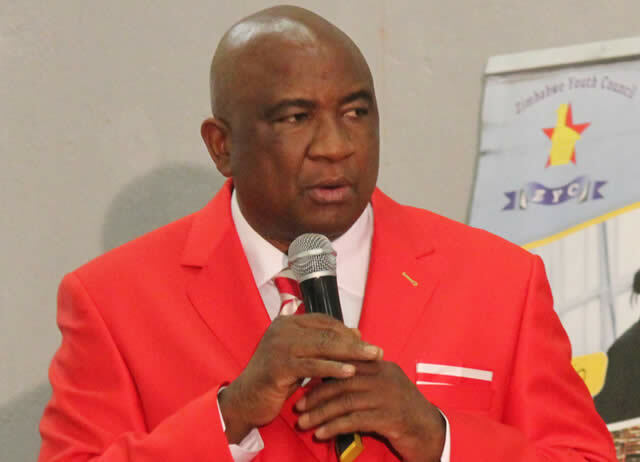 The blow that hit disqualified Zimbabwe Football Association (Zifa) aspiring presidential candidate Felton Kamambo has also struck many of those who have been fighting for the removal of Zifa president Phillip Chiyangwa from power. Since December 3, 2015, when he was elected into office, there has been a section of the Zimbabwean football community who have been opposed to Chiyangwa's leadership, contending that he was not fit to lead the beautiful game. The December 1, 2018 elections, presented Chiyangwa's detractors with the opportunity to dislodge Captain Fiasco from office, but that seems to have hit a brickwall with the disqualification of Kamambo - the only challenger to Chiyangwa's position. Chiyangwa will now step into the December 1 elections unopposed with the same happening to his vice Omega Sibanda after Sibanda's challenger Gift Banda was also disqualified on the basis that he was banned from football activities in 2013 for match-fixing. In fact, Chiyangwa won the first round of the 2018 election battle way back in March when he used his "tricks" to manoeuvre his way out of the elections and managed to hold onto power for an extra eight months. Now with no challenger for the December 1 elections, Chiyangwa appears to have finally won the war. With the way things are right now, there is no way that Chiyangwa will be pushed out so easily. So it is now up to the Zimbabwean football family to just accept Chiyangwa as the head of the national football association for the next four years. Although Chiyangwa is seen as the main actor in this whole saga, Kamambo and those against Chiyangwa have fallen victim to an electoral system, which has been in existence for over 25 years that nobody has bothered to challenge over the years. It is a system that allows the sitting president the power to dictate terms and indirectly "control" elections in which he is a contestant and this helped Leo Mugabe to hang onto power for close to a decade between 1993 and 2002. This is also the same system that allowed Cuthbert Dube in 2014 to change the composition of the Zifa Assembly from 35 to 58 in order to get a second term - after getting rid of the Zimbabwe Soccer Coaches' Association, Zimbabwe Soccer Referees' Association and the Zimbabwe Junior Football Association who were proving difficult to control. The December 1, 2018 elections have also followed a similar pattern. The system disqualified Kamambo on the basis that he was not properly nominated on top of the fact that he was also banned from football activities -ironically by the same Chiyangwa leadership. So, whether by hook or crook, events on the ground suggest that Zimbabwean football will have to live with Chiyangwa as its leader for the next four years unless something else happens or unless he decides to quit on his own. With that in mind, it is now important that the football family gives Chiyangwa and his lieutenants all the support they need in their four years at the helm. The issue should no longer be about Chiyangwa or Kamambo, but Zimbabwean football, which should be the ultimate winner. As Cosafa, and Zifa president, Member of Parliament for Zvimba North and businessman, Chiyangwa, on his part, should also divide his time in a way in which Zimbabwean football gets most of that time. Charity begins at home. Cosafa, Caf and Fifa are secondary, and Zimbabwean football should always come first. The direction should be to see all the three Zimbabwe national teams - the Warriors, the Mighty Warriors and the Young Warriors - succeed on the international stage instead of the football political game of chess. The Warriors should reach at least the quarter-finals at their next appearance at the Africa Cup of Nations finals and also qualify for the 2022 tournament. Or alternatively, put up a strong fight for qualification for Qatar after missing out on the 2018 show in Russia. This is the task in Zifa's hands right now and after qualifying for the 2017 Africa Cup of Nations finals and on the verge of making the 2019 Nations Cup edition without any player payment disputes and accommodation upheavals, Zimbabwe are surely on the right path. Zifa should maintain the order that is prevailing in the Warriors camp and should also extend it to the women's team, the Mighty Warriors, as well as the Young Warriors, who have lost their touch in African football. Chiyangwa has managed to bring peace between the once-warring Zifa and the Premier Soccer League, but the Zifa debt is still there. There is urgent need to deal with it if the national football federation is to operate at full throttle. There is also need for improvements in the manner in which Zifa handles the Warriors' home matches. What happened in the game against the DRC should not be repeated and Zifa should probably copy from other associations, notably South Africa, on how they do it. On the field of play, Zifa should bring back the Zifa Cup. The world over, it is only Zimbabwe which does not have an FA Cup and Zifa should address that anomaly. That tournament touched all football centres in Zimbabwe be it Binga, Muzarabani, Gokwe, Sanyati, Chakari, Mazowe, Bubi or Buhera, and also guaranteed huge financial pickings for the national football association. Right now, football followers should have been enjoying the quarter-finals of the Zifa Cup and looking forward to a perfect football Christmas present in the form of the Zifa Cup final, a week before Christmas Day. Chiyangwa and friends should find a sponsor and bring back that long-lost entertainment and restore the atmosphere of friendship and fun that the Zia Cup always brought.